Imagine waking up, opening the window and finding unobstructed views of the waterfront with incorporated private terraces nearby. It is not a dream. You can live there. AQUABELLA Condos is the third phase of Tridel and Hines' condominium community at Bayside on the Toronto Waterfront. AQUABELLA's design puts people first, paying particular attention to the quality of views, space and lifestyle. 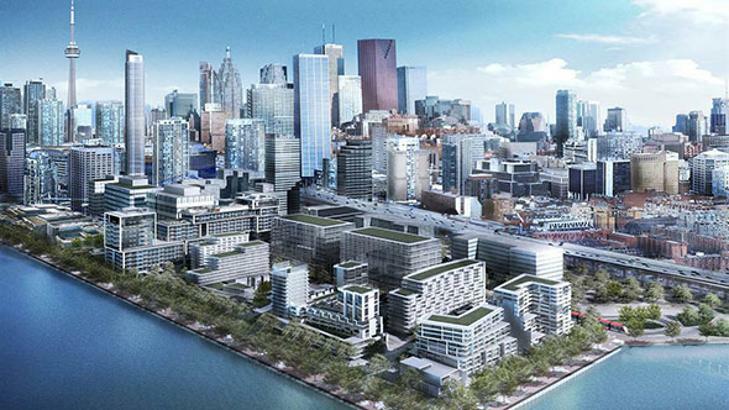 The development will command extraordinary views of the water, neighbouring parks, and the city skyline. Located along the water’s edge, on Queen’s Quay East in the city’s East Bayfront neighborhood, its distinctive L-shaped design will define the new condominium. This shape ensures not only views out across the water for residents, but allows ample natural light to reach the public areas at ground level. Tridel is also selling 2 other exciting new projects the first one is located at Kennedy & Ellesmere called Selene Condos. 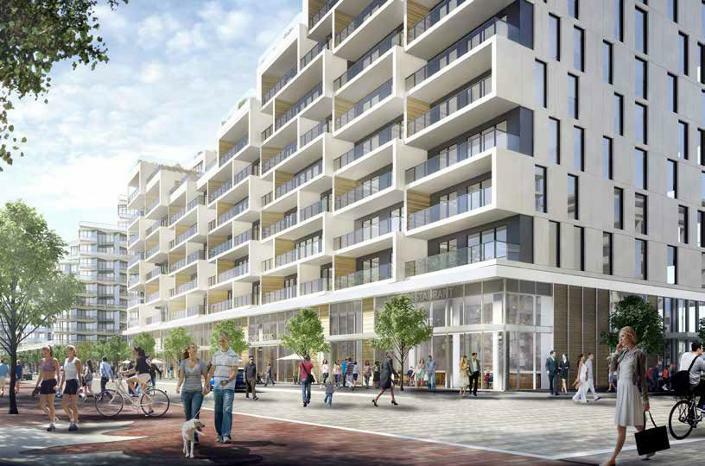 The 2nd exciting project is at Bloor & Parliament called Via Bloor Condos. Register here and you will get info on all these exciting new projects by Tridel. a future growth area to watch for. 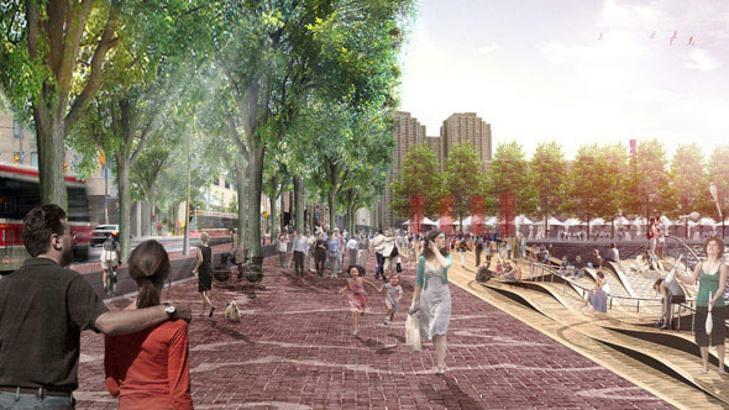 Read more about UrbanToronto's Development Guide: Growth to Watch For 2016 Series - Waterfront Toronto Area. Featuring a dynamic architectural form, the building steps down from its highest point at its north-western point where it meets the city edge, to an amenity space on the 7th floor, before rising back up towards its eastern façade. While the stepped L-shape form provides a sculptural quality to the building, the large garden terraces are the hallmark of the design. The terraces will activate the façade, enlivening it with texture, color, depth and variety, while imbuing it with a human scale. AQUABELLA at Bayside Toronto is the third residential phase of Bayside Toronto, a 15-storey mixed-use development on Toronto’s waterfront. Designed by Danish architect 3XN and Toronto-based architecture firm, Kirkor Architects, who will serve as the project’s Architect of Record the AQUABELLA at Bayside Toronto is currently under construction. Register today and receive Aquabella Condos Brochure, Floor Plans & Price List. This is all about the View. Located along the lake’s edge on Queens Quay East, AQUABELLA offers a great view. AQUABELLA Condos located in the Waterfront Communities, the Island neighbourhood in Toronto. Enjoy a great life from Sugar Beach to the water's edge Promenade, parks, shopping, restaurants, entertainment, galleries, boating and connection to the 56 kilometre Martin Goodman Trail. 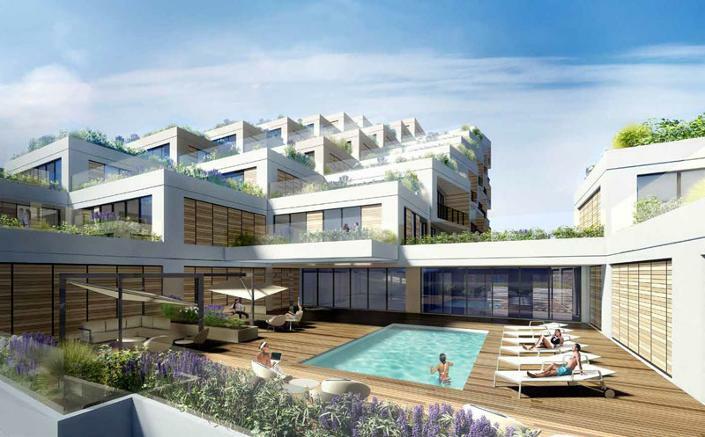 AQUABELLA Condos has a walkscore of 83/100, walkable EVERYWHERE. Walking distance to St. Lawrence Market and Toronto Island Ferry Terminal. AQUABELLA Condos developed by Tridel, Canada's leading condominium developer, the most trusted home-builders ensuring a modern design and great construction everytime. Destined to be a brand new, sought after downtown landmark water's edge hot spot where you can truly live, work and play. AQUABELLA Condos close to Major Employment Centres. Over 8,000 new jobs, over 3,500 students and a short walk to the Southcore Financial District. Register with us today for more information on this new condo project by Tridel!